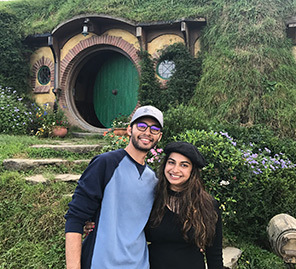 Monika and Karan immersed themselves in the romantic atmosphere of sunny Maldives on their relaxing five-day honeymoon. Here, Monika shares some highlights of their trip. 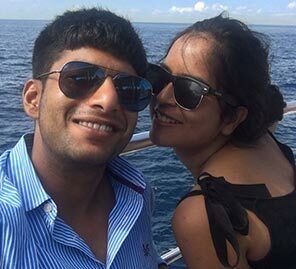 “We really wanted to go to Greece for our honeymoon, but as we were moving to Canada with its freezing winter, we decided to relax and explore the beauty of sunny Maldives instead. All I wanted to do was chill on the beach, dive into the deep waters, sip a drink and be with the one I love. Maldives is synonymous with luxury, peace and refined indulgences, so we planned a five-day trip to the dreamy paradise. 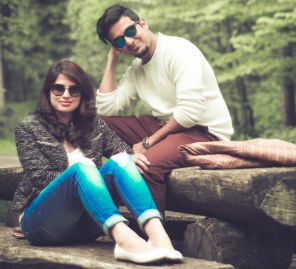 We stayed at the Conrad Hilton there, which is one of the best properties in the country, and that made our honeymoon a truly memorable one." “Our best meal of the trip was the organic cheesecake, pumpkin and confit shallot risotto with orange broth and horseradish chutney. However, the uttapam and sambhar made exclusively for us by the talented non-Indian Chef Dora was also delicious." "Explore and try out the underwater experiences of Maldives and indulge in the natural beauty and serenity of this beautiful haven."